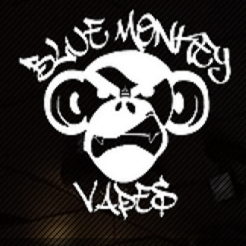 Blue Monkey Vapes Inc. - Your One Stop Vape Shop! Your One Stop Vape Shop! Blue Monkey Vapes is one of the biggest distributor of vape supplies in the US. Wide ranging products, competitive prices and great customer service. respect of our customers at all times. BLUE MONKEY VAPES strives to help everyone discover a healthier alternative to smoking cigarettes. Given that cigarettes harm the body and the environment, we strongly encourage you to quit smoking and start vaping. Wide Range Of E-Liquid Flavors Available At Blue Monkey Vapes Inc.
Blue Monkey Vapes Inc. is a seller of different vaping products. They have more than 30 physical stores and is still growing, making them one of the most trusted vaping franchises right now.